The government has issued two calls for innovation, one for the NHS and one for Innovate UK, which it hopes will mean NHS patients can benefit from new technology faster, with new ideas also leading to UK economic growth. The NHS innovation call is for innovators across the world to join two schemes that look to spread innovation across the NHS. NHS England can directly fund a small group of proven innovations to help spread them at scale across the NHS though the Innovation Technology Payment (ITP). The government says that over 7,000 patients have already benefitted from innovations that joined the programme this year, with a further 95,000 patients benefitting from the previous version of the programme. Recent innovations include HeartFlow, advanced image analysis software that creates a 3D model of the coronary arteries and analyses the impact that blockages have on blood flow to rapidly diagnose patients with suspected coronary artery disease. Individual innovators are the focus of the NHS Innovation Accelerator, where they are provided with bespoke support such as mentoring to help spread their innovations across the NHS. Since it launched in 2015, 36 innovators representing 37 innovations have been supported with an additional 1,423 NHS sites using their innovations, the government said. Dr Sam Roberts, director of innovation and life sciences at NHS England, said, “Thousands of patients have already benefitted from access to new and exciting innovations because NHS England is committed to spreading innovation across the NHS. The government says that the Innovation Technology Payment removes some of the financial and procurement barriers preventing successful innovations from being adopted into the NHS. For innovations to be eligible they have to be in use in at least three NHS sites and must be able to demonstrate the potential for a return on investment within a year of implementation. A second scheme, the NHS Innovation Accelerator (NIA) provides bespoke support to innovators with compelling evidence-based innovations, to enable their innovations to be taken up at pace across the NHS. Eligible innovations must address one or more of the following priorities: prevention and early diagnosis (cancer, cardiovascular disease), mental health, primary care. Professor Tony Young, national clinical lead for innovation at NHS England, said: “These two programmes will allow exciting innovations to flourish and spread as NHS England is once again prepared to support innovators and foot the bill for a select group of products so patients can benefit faster. Health Minister Lord O’Shaughnessy said: “Technology has the potential to transform healthcare and we must do all we can to break down the barriers that prevent patients from accessing the best possible treatment. WaitLess – An app that shows patients with minor injuries where they can go to access the quickest treatment, using real time waiting times and traffic/travel information. 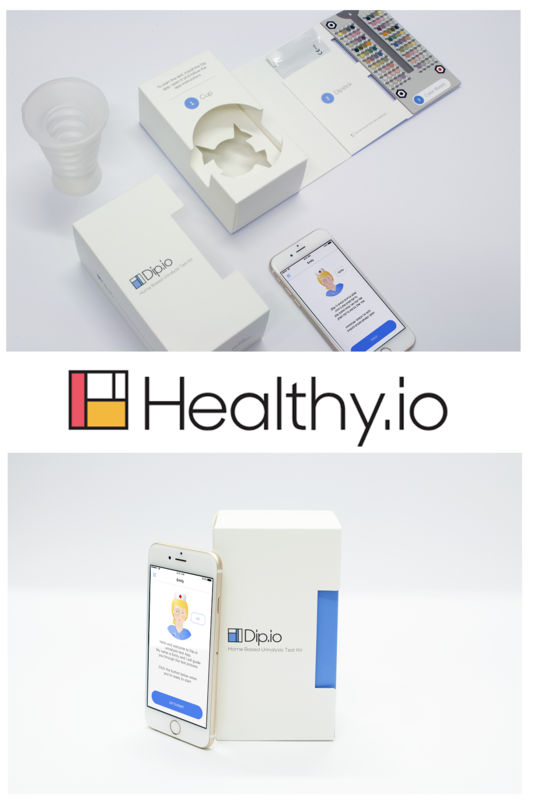 io – A tool that provides patients with clinically accurate urine analysis from home in a matter of minutes, helping to identify Chronic Kidney Disease and UTIs as well as pre-eclampsia in pregnant women. Patients perform a dipstick test at home and then, using the app, take a picture of the dipstick against a special backing. The analysis is then sent through the app directly to the patient’s doctor for diagnosis. Applications for the ITP are open until noon on October 3 2018, should be made on the NHS England Innovation website. Applications for the NIA are open until midnight on October 24 2018, and should be made on the NHS Innovation Accelerator website. Innovate UK’s call is for organisations to apply for a share of up to £20m to develop game-changing technologies with commercial potential that could lead to UK economic growth. Projects can come from any area of technology, science or engineering and any area of the economy including arts, design, media or creative industries. They could fit in with the challenges that are part of the government’s Industrial Strategy Challenge Fund. Alternatively, a project could look at a completely different theme or topic, as long as the idea is disruptive and ahead of anything else in the field. Funding is available under Innovate UK’s open programme, which is for different types of project, from short feasibility studies to prototyping and longer research and development projects that take ideas to the verge of commercialisation. One of the businesses to previously get funding through the open programme is Photocentric. The printer and resin manufacturer expects to sell over £8m of its 3D printers and photopolymers by 2020 – all from an invention that was a consequence of Innovate UK’s grant. The competition opens on September 24 2018, and the deadline for applications is at midday on November 14 2018. All projects must include at least one SME, with projects expected to range in size from £25,000 to £2m and to last between 6 and 36 months.